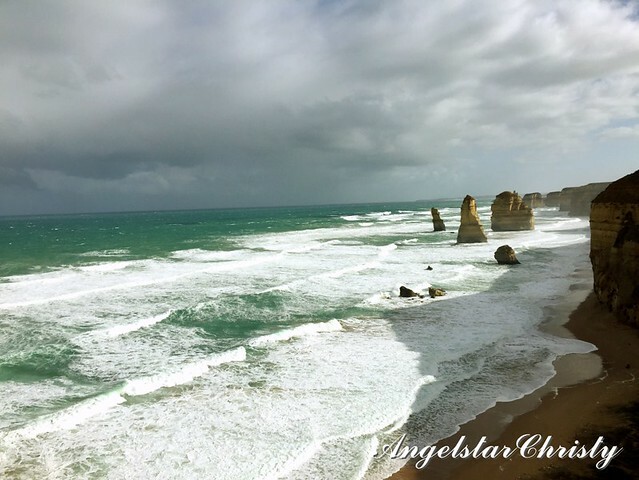 The highlight of the entire Great Ocean Road is the world famous Twelve Apostles; a much coveted spot wooing tourists to this very region for a glimpse into this iconic landmark. 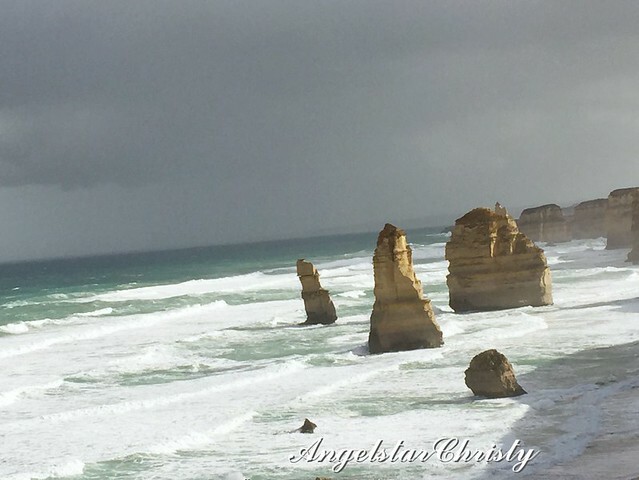 The name Twelve Apostles is bound to bring one’s mind in association with the biblical figures though there is nothing of that sort to be made of these series of limestone stacks, which are actually formed as a result of the continuous natural process of erosion. The Southern Ocean and the coastline of its shores are exposed to the severe extremity of the weather conditions. The implications of the harsh and bitter climate changes led to the process of erosion on the soft surfaces of the limestone and the eventual formation of caves within the cliffs. These would then become arches as nature continues to work its way and in the long run, due to the constant erosion and the weight of the arches which would turn to be unbearable to be supported would lead to its collapse. The collapse of these arches would then end up on top of each other, in a form of stacks of approximately 50 metres high; thus forming the figurative limestone stack as seen in those of the Twelve Apostles. The Twelve Apostles are made up of a series of limestone stacks which happened due to the process of erosion on the limestone caves to cause these fallen arches to stack upon one another along the coast lining the Port Campbell National Park in Victoria, Australia, along the Great Ocean Road where these iconic stacks are located. The series of the limestone stacks are natural in its formation and it is also purely coincidental that these stacks are located in close proximity to each other; from their collapse and stack formation. Perhaps it is also due to the fact that the coast itself is lined with the limestone which explained the basis for the forming of these; standing tall and proud as though they were related or part of a series, casting their mighty silhouettes over the coast for many to admire. 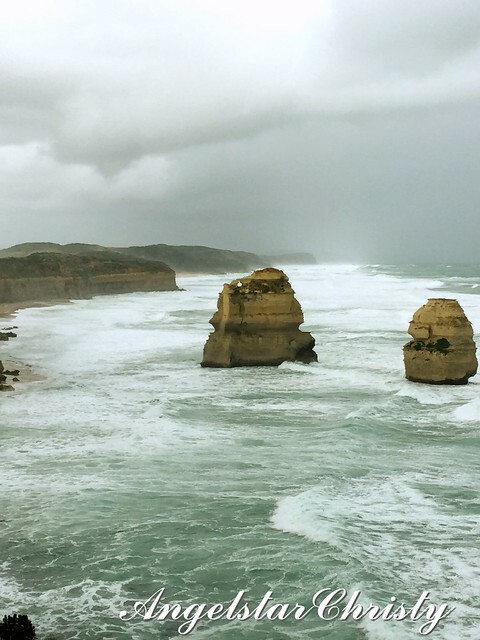 It is this coincidence; the close proximity of the stacks which led to them gaining attention from the public and their quick rise to fame as the iconic collection gracing the coast of the scenic Great Ocean Road; already boasting a majestic view to the glory of her name. The Twelve Apostles were originally known the “Sow and the Piglets”, whereby the Sow is where the Muttonbird Island is located (the site of the shipwreck tragedy of the Loch Ard) and the Piglets refer to smaller stacks in the nearby row. 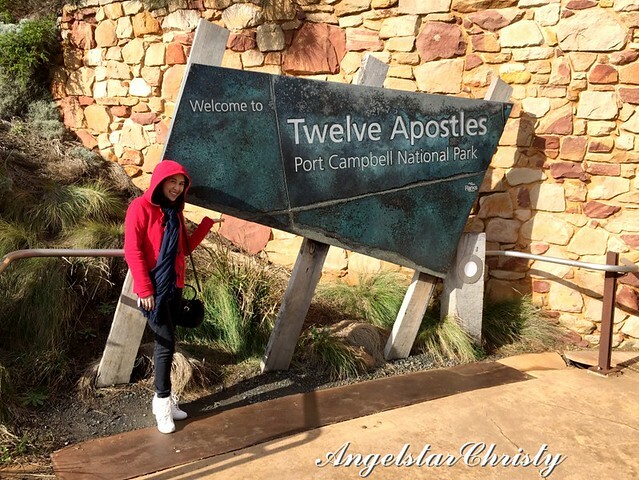 This name remained until the year 1922 until the tourism board decided that the iconic landmark deserved a much worthy name to promote its glory, and that was when they were renamed the Twelve Apostles. Before you go hunting or even straining your eyes to count all these limestone stacks in numbers to come up to the total of 12, as indicated so glaringly in its name, let me save you from the task by telling you directly, that you will never find all 12 of the limestone stacks. Yes, you are NEVER going to locate or tally that number 12. The answer is simple, because there are never 12 to begin with and therefore, if there are never 12 of these limestone stacks on that spot, how are you ever going to find all of them? If you find that bizarre, well, how about if I tell you there are only 9 of these limestone stacks from the very first day? The Twelve Apostles have only 9 of these “apostles’ formation; and technically at this time of posting, there are only 8 left, following the collapse of the 9th Apostle in the year 2005. 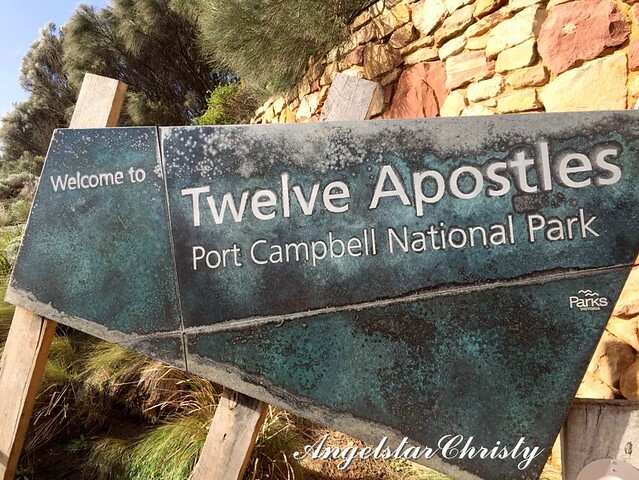 That is the fact; the Twelve Apostles is only a series of 8 apostles. The reason for the naming is purely for tourism and just for the sake of a more glamorous nature to attract visitors to this natural wonder which the Australians are proud of, as they line their local coast; with every reason, if I may say. There is no particular reason; neither in mathematical nor biblical, it is just a name. If you are still wondering and cracking your head to figure out the reason for the name (probably you’re also furiously turning on all your Google searches with multiple windows in disbelief), well, I guess the tourism board has successfully done their job in quelling that curiosity and drawing your attention to the name itself. That,to me, is successful branding; though caution ought to be practiced at the same time, as confusion and credentials do not necessarily go well together, sometimes. 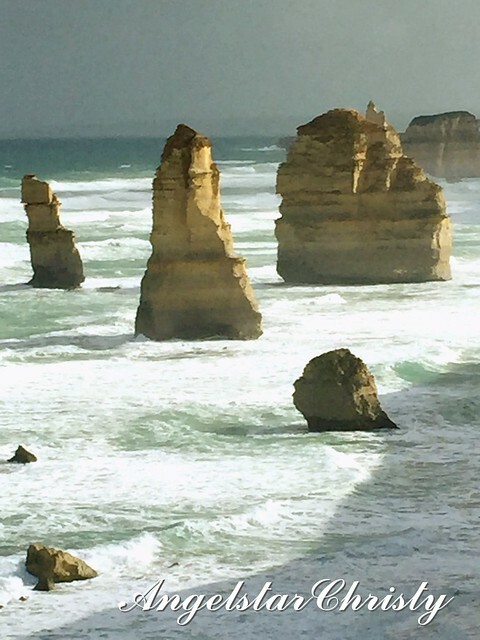 Of course, the attraction of the Twelve Apostles does not lie in the name itself (though it does lead to many attempting to start looking for all 12), for these amazing limestone stacks are just testimonial to the great forces of nature. They are beautiful and I was in awe, as I stand and take in each one of this amazing beauties. It is just inexplicable; and the sight of these stacks, or Apostles, just simply takes my breath(and almost me, as a whole) away. 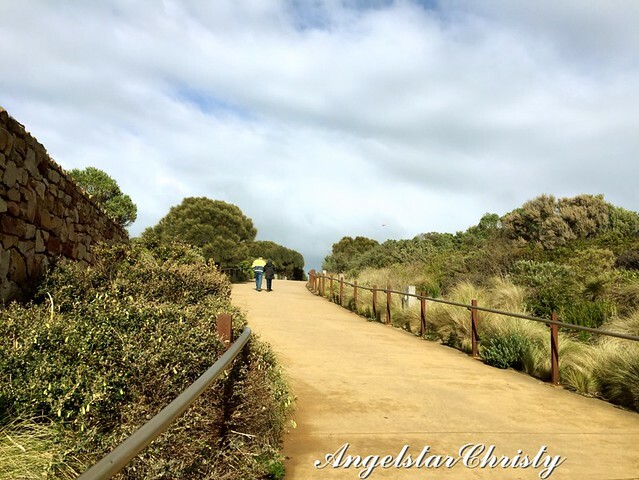 The lookout point for a glimpse of this spectacular view is via the Port Campbell National Park, where one will need to take a walk towards the various points perched atop the cliffs and facing the great ocean. That meant one is also exposed to the extreme harsh weather conditions from the ocean as well; and that translates to the strong gale of wind; howling all around the area as it sweeps the waves above one another; rough and forcibly as they raced their way towards the shores. The might of the wind is simply not to be underestimated and while the majestic view is worth all that effort, making one’s way in resistance against the valor of the wind requires much determination and weight. It was really hard to even stand still as the wind wails in your ears, rushing towards you in its continuous gust; one blow after another. Think of multiple gigantic ventilation fans, or propellers, blowing at you, from a close proximity. It was even more interesting as the weather was quite indecisive the day I was there; as it was little temperamental and there were even signs of a shower, which thankfully, occurred as I was leaving this attraction. Still, the weather was quite challenging when I was there, and there were many times when I could feel myself being lifted by the wind and I meant, directly blown by the mind to move a few steps ahead. Thank God for some of the metal wrought benches around the park where I could hold on to for support, though I should consider carrying some metal anchors with me the next time. I would have almost been blown away by the wind; literally gone with the wind, and goodness knows where, with that might as it blows around the coast. It was a terrifying experience, though we enjoyed laughing as we struggled to maintain our balance. 1. Hold on tight to your cameras; especially if they are lightweight, and just wear the strap around you if your camera is strung on strap (heavyweight DSLRs are much better, but do wear the strap as well, for a much better hold and stability). 2. Umbrellas are just hopeless in this weather, put on your rain poncho or a raincoat, and you are good to go. 3. Do not wear dresses or skirts, unless you’re prepared to pull on a Marilyn Monroe, that is, if you are not blown away by the wind yet. 4. Hiking boots and sneakers are the best for a better grip on the ground. Again, this is a national park, so heels, sandals and slippers/flip flops, are not recommended. 5. Try to reduce your belongings or accessories as the wind is really strong around here. 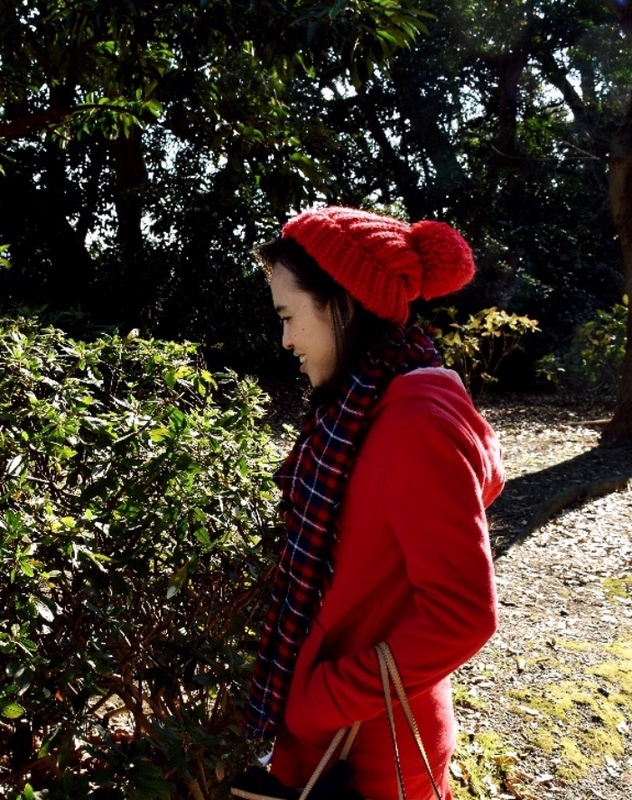 Keep your scarves wound tightly around your neck, though do not suffocate yourself in the process. Hats are not recommended; wear a jacket with a hoodie instead. If you need to carry more stuff, carry a backpack or a cross sling bag; that would be more practical. For all its worth, the Twelve Apostles was truly worth all the effort and the trip and I just could not get enough of this sight had it not been for the storm which was headed our way. My last tip, while gaining your composure to take lots of pictures of this breathtaking wonder, do put that camera down once in a while and just take in the amazing view with your very own eyes. Photographs are made to remind us of the wonderful moments we experienced, so make the most of that experience and feel that beauty of the world famous Twelve Apostles while you are there, in person. And, STOP counting, because there are only EIGHT of these Limestone stacks and no, they are not going to change the name to Eight Apostles. Nothing makes sense anyway, so stop asking/counting and just enjoy the view. As nature would have her way, there could be more stacks coming up or even reduced; as in the 2005 collapse which left the series to its remaining eight today. There is no way of predicting nature, so just let nature takes its own course, and just enjoy the view while you are there. 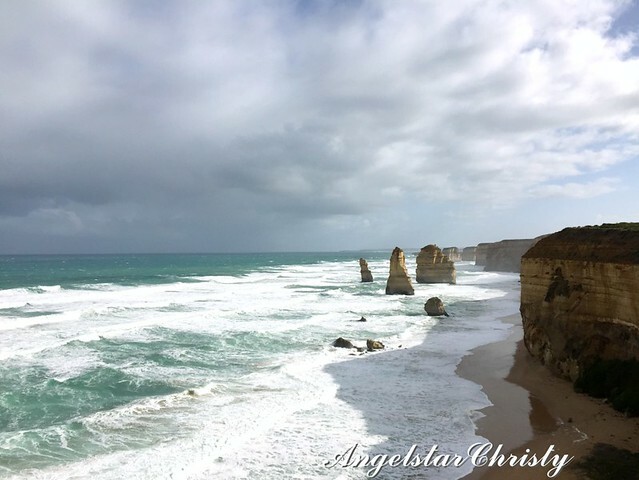 The Twelve Apostles is truly one of the most breathtaking views I have ever seen; a true testament to the wonders of nature and our creator. Perhaps many may argue that it is just about the implanted impression and conditioned mind from the publicity of the attraction, but all the same, it is still a monument of perfection. 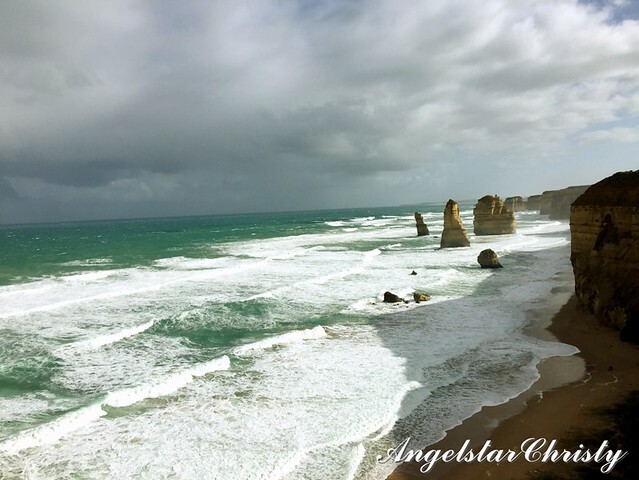 Be ready to be taken away by the wonders of nature; here at the Twelve Apostles, in awe or by the forces of the wind, literally speaking. Enjoy the view, and hold on tight! This is not a sponsored post, and solely based on author's personal opinions and preferences and do not represent the general public. Experiences vary from one individual to another.